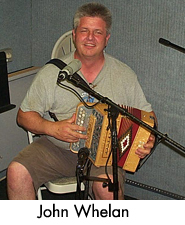 Our good friend and seven-time All-Ireland button accordion champion John Whelan celebrates his 50th birthday on June 14. 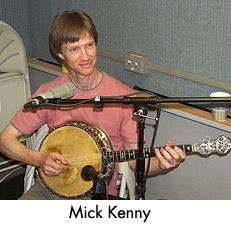 We’re getting the jump on a weekend of joyous celebration with a two-hour, in-studio live appearance by John and a group of friends, including renowned Canadian singer-songwriter James Keelaghan, a two-time Juno winner in his home country. 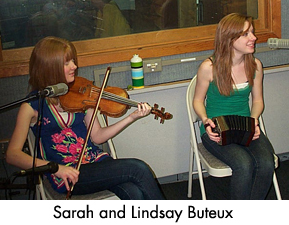 Others joining John in WSHU’s Studio A were Mick Kenny of Galway on banjo, John’s longtime friend Joe Heeran of Connecticut on guitar, and young Sarah and Lindsay Buteux of the Pearl River, N.Y. area playing fiddle and concertina respectively. 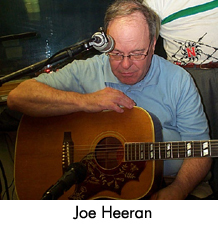 John’s father Denis Whelan of England also joined us in the studio for about 10 minutes of reminiscences about John as a young man starting out on the accordion. 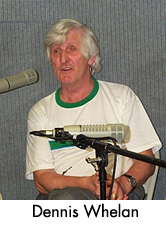 During the show we also aired a track from John’s first solo album, done at age 14, “The Pride of Wexford” released on vinyl on the old Outlet Records label in Belfast. 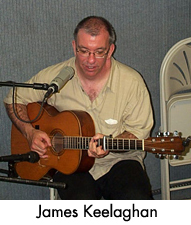 It was a marvelous night of music and talk and our thanks to John and all his friends for treating our audience to it. Happy 50th, John.